It wasn’t supposed to be that memorable, just a short run through a tropical greenbelt in the centre of Kuala Lumpur this morning. I’d avoided the midday sun as Malaysia gets particularly hot then, plus I know the area I was running through, though paved, is populated with reptiles. Reptiles like to come out when the sun is overhead so they can warm themselves up, and that’s when they’re most active. 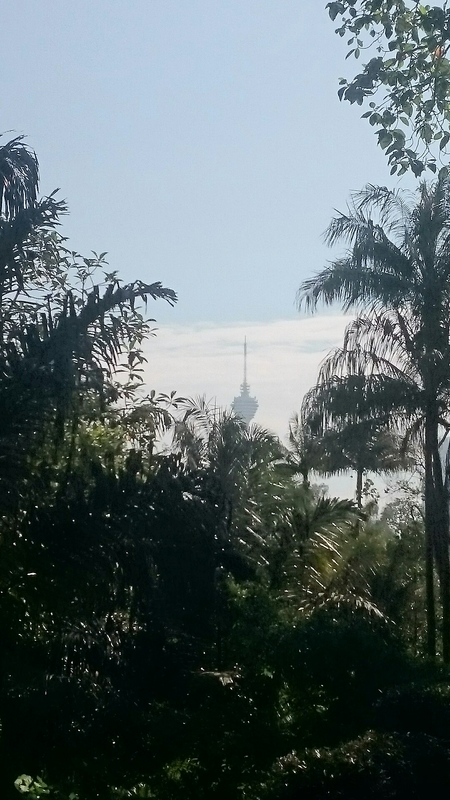 I had just finished taking some photos showing the KL Tower peeking out from behind primary rainforest. I then set off again, looking at my watch to confirm I was keeping a good pace. The sun had risen but wasn’t overpowering, and the humidity had not yet risen to It’s incapacitating potential. Snakes were the last thing on my mind as I pounded the pavement, surrounded by rainforest shining in the morning sun. Then a snarl. I thought it sounded like a small dog to the right of me, but there was nothing. Except a black stick, no, a black snake, it’s head raised and hood flared. 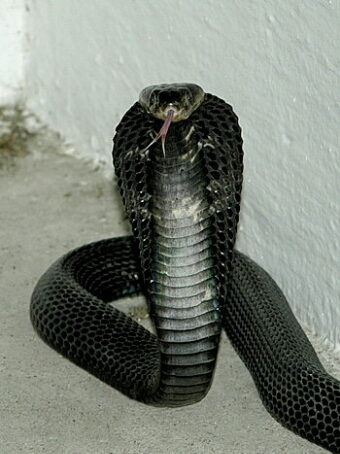 Equatorial spitting cobra. Photo courtesy of Nick Baker. This was, I believe, an equatorial spitting cobra, indigenous to this part of Malaysia. The snarling noise was it’s hiss, and I’m not sure if it tried to spit venom at me, but by that point I was continuing to run till I was a safe distance away from it. My adrenaline was surging. I’d run within centimetres of where it had been laying on the warm pavement, and I’d upset it and presented it with no clear exit route. This species normally only attacks and confronts humans when cornered. It remains upright for a while longer, it’s hood flared, but was no longer in striking distance. I was pleased with my escape from the proximity of the snake, not quite realising at the time that it’s venom can cause death within an hour. I decided to continue my run, but it was a good reminder to be extra vigilant in unusual surroundings. Nice Indiana Jones reference, I’d thought about trying that into the story! I actually just watched the bluray version so it was fresh in my mind.